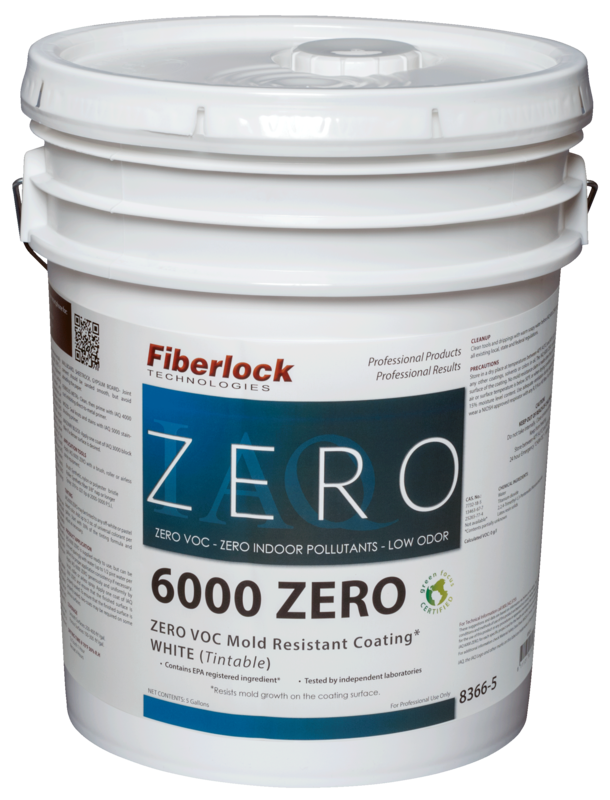 IAQ 6000 ZERO is a next generation environmentally friendly mold resistant coating. IAQ 6000 ZERO is formulated with a unique zero VOC fungistatic agent to resist mold growth on the dry coating surface. IAQ 6000 ZERO does not contain any formaldehyde, ammonia, solvents or hazardous air pollutants. IAQ 6000 ZERO is a white, tintable mold-resistant coating for professional use. IAQ 6000 ZERO is a durable, flexible, and permeable acrylic water based coating. IAQ 6000 ZERO has been tested by independent and certified laboratories to prove resistance to mold growth on the surface of the coating, and has successfully passed ASTM G-21 mold resistance testing with the highest possible score. IAQ 6000 ZERO is recommended for use on wood, plaster, wallboard, sheetrock, concrete, masonry block, primed metal and galvanized metal. IAQ 6000 ZERO can also be used on new structural materials during building construction.